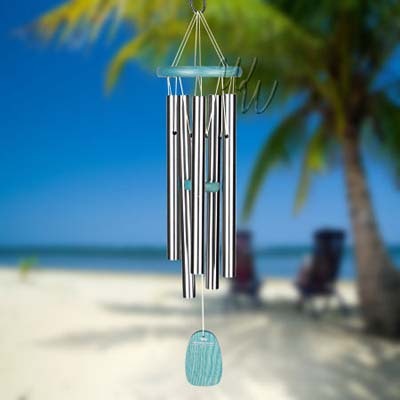 With its mid-range tuning, this chime plays a beautiful pentatonic scale. The bright blush color reflects the sun-bleached textures of the coast. Green wash finish ash wood, 5 silver aluminum tubes. With its mid-range tuning, this chime plays the inspiring tones heard in the opening measures of Amazing Grace, one of America's best loved and most widely known hymns. Made of: Laminated bamboo, 6 silver anodized aluminum tubes.